We had sent this FJ out to get some mechanical issues addressed while our work load here at the shop was up. 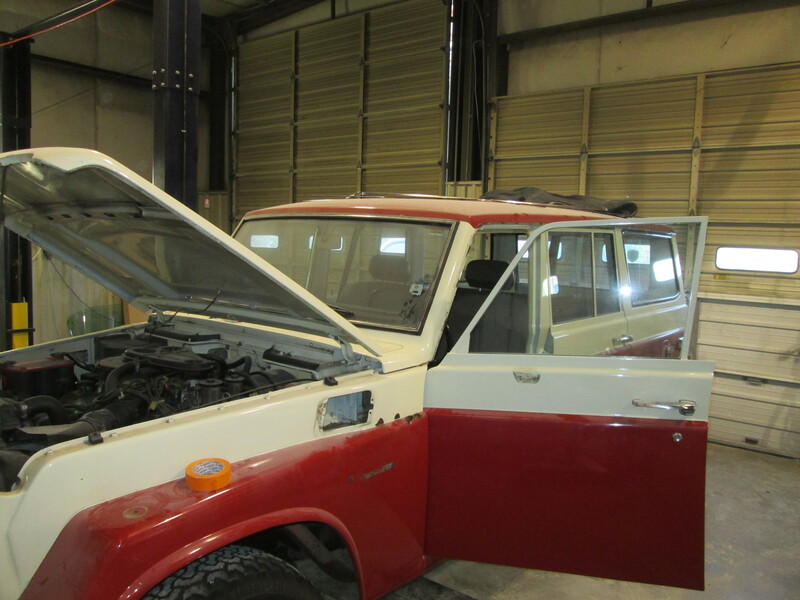 We did get it back last week and today we were able to devote some time to it getting this project started back up. 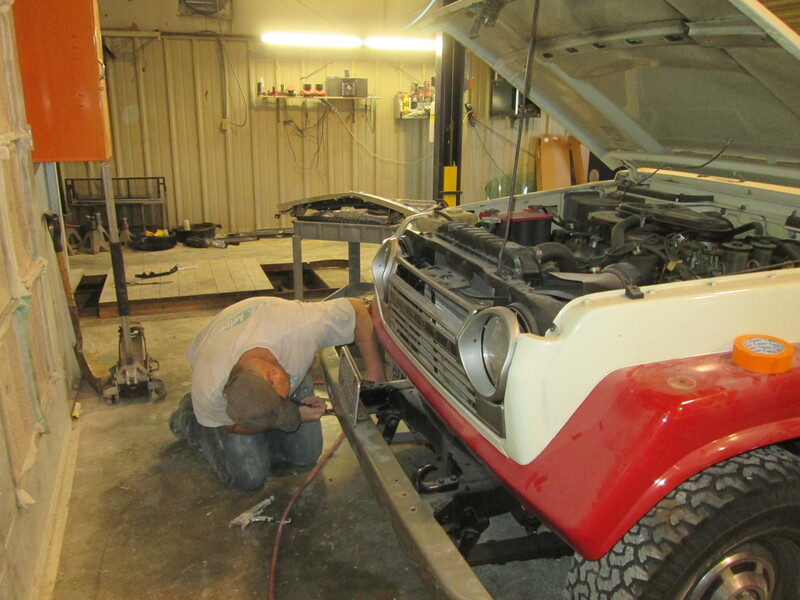 What Cole is working on here is repairing where the lower rocker panels were welded in. 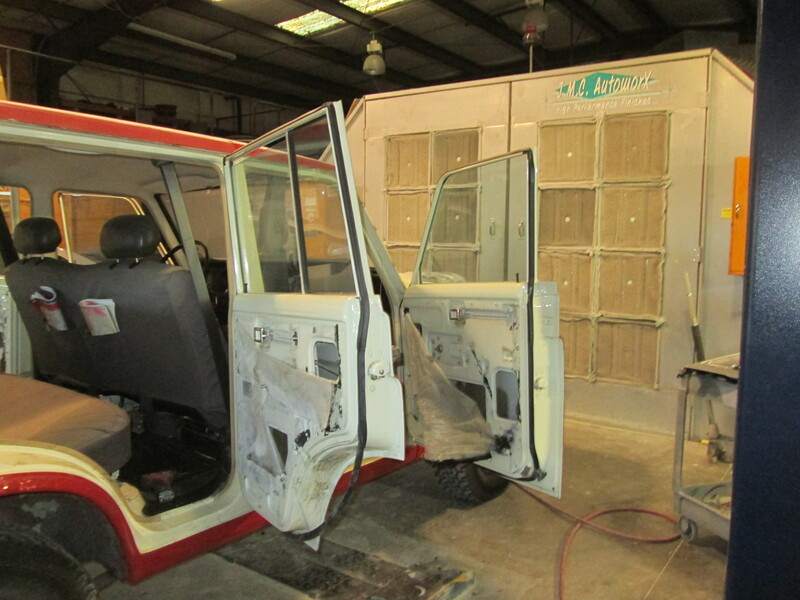 We removed the rear doors and used a grinder to smooth up the welds. We then applied a coat of metal filler to smooth up the welds. Once that product was dry, it was sanded smooth. 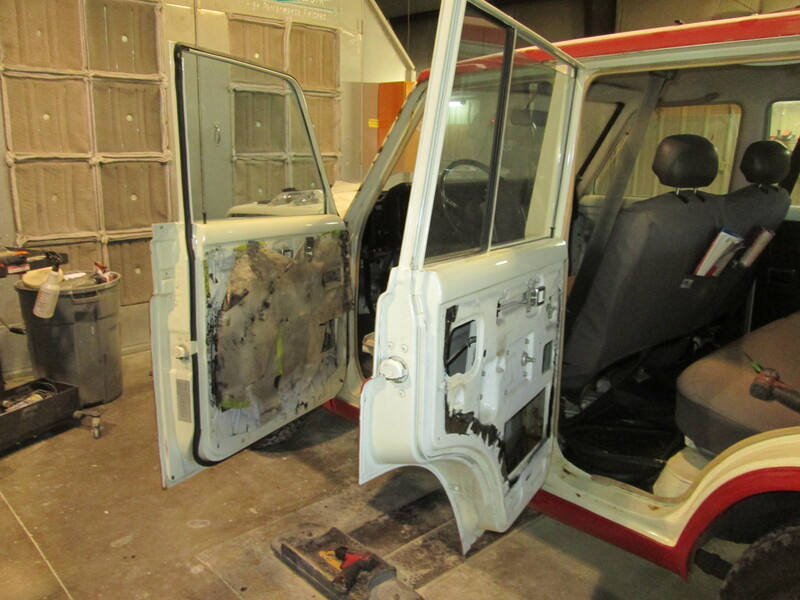 He then went over those areas as well as a couple of other places in the jambs to make sure they all look smooth. Once these areas a taken care of we will do the same to the seams where the front doors are before priming the new rockers. 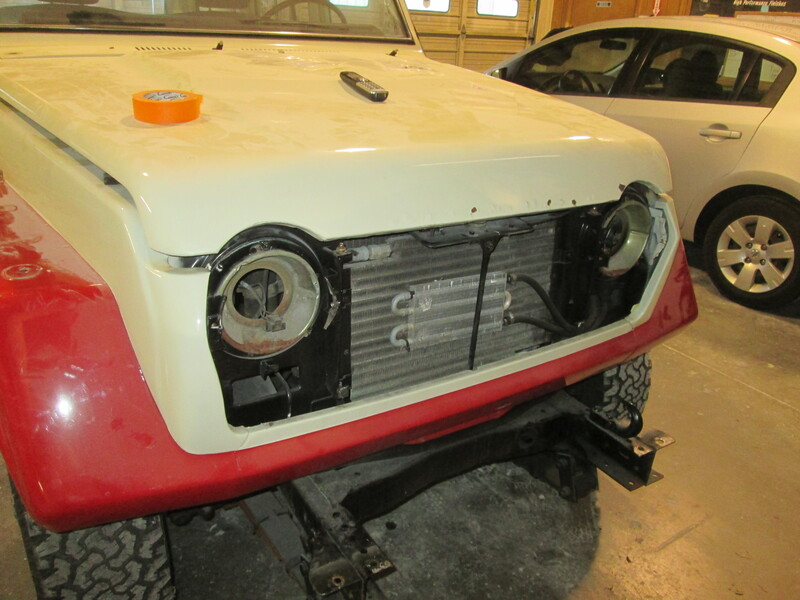 This FJ will be going over to the metal fabricator in a few weeks so we took a little time to remove some parts to keep the project moving along. 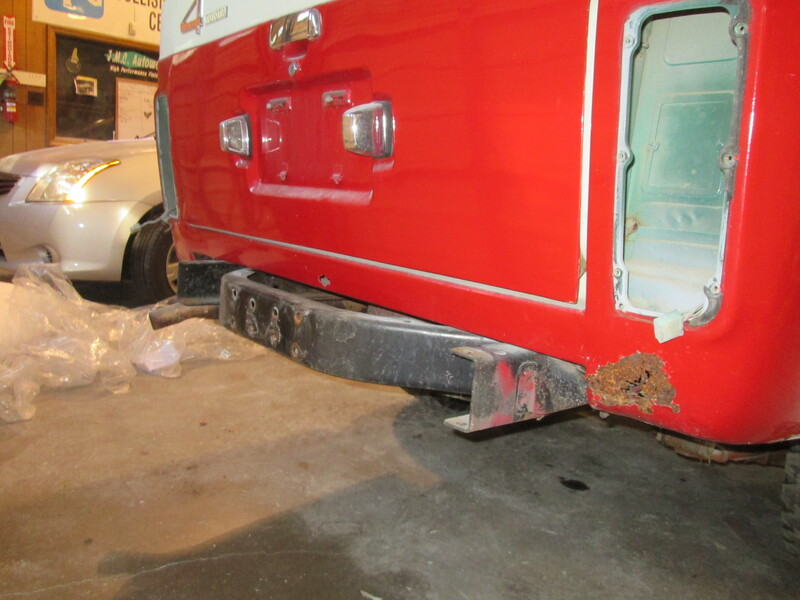 Since we will be keeping the bumpers and grill here, we will be able to get those prepped up and possibly painted while its gone. 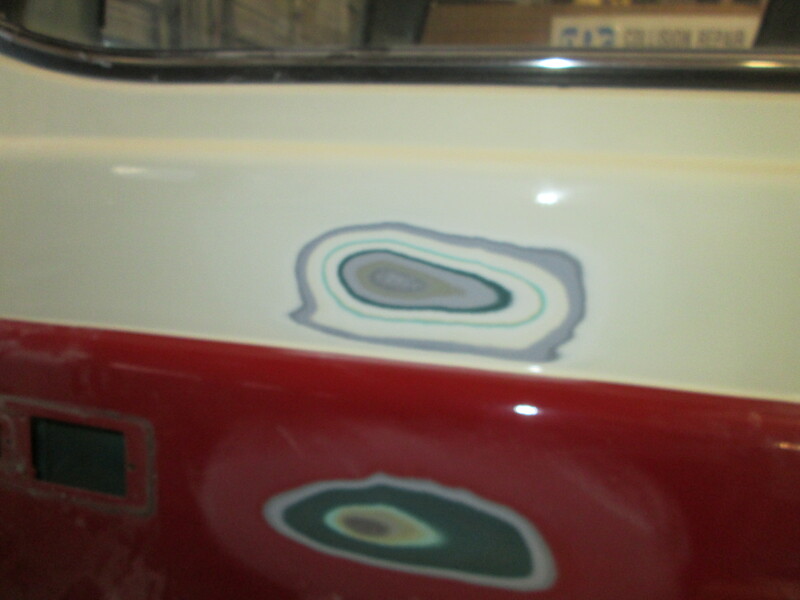 We sanded a couple of areas just to see what kind of life this Cruiser has lived. It has definitely been painted a few times. You can tell by the number of circles where it was sanded. Kind of like an onion, the layers show all the coats of paint that have been applied over the years. This will be a challenging project but it is also very cool and will look great when its completed.